Do you know of a good place to go or eat? has excellent service, and is comfortable? think every Red Hatter should know about? listed here for all our members to enjoy too! Be sure to include the name, address, and website if available. Any other information you wish to add is welcome, too! 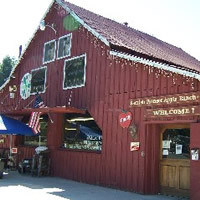 Great food, friendly service, Breakfast, Lunch, and dinner. They can accommodate a large group. Sell "bear" items, cute theme. Good food and seniors get 20% discount, but you must ask for it. 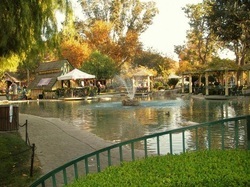 Located in the HB Central Park. Get a 10% discount on request! and service. Located in Cypress. Serves superior quality Greek-Italian food. The Big Red Bus has tours, parties, celebrates holidays, and birthdays, or anything you would like. Call them to ask questions for your next affair. 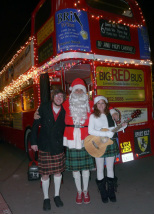 The Big Red Bus Holiday Waterfront Light Tours include hot cocoa, cookies & good old St. Nick, and has live music too? They have a wide variety of amazing musicians from steel drums to acoustic guitars. Jump on board for an all-around show; Lights, Music, Santa! Seating for 40-50 people. Call (562) 852-9888 or email: events@bigredbus.com to make your reservation! The LA Fashion District spans 100 blocks. It’s all here: apparel and accessories for the entire family, textiles, flowers, even live/work lofts. Santee Alley is one of the most popular shopping areas in the LA Fashion District, best known for its festival-like atmosphere and amazing bargains. Santee Alley's over 150 stores and vendors sell everything from apparel for the entire family, accessories, toys, perfume, gift items and much more! Santee Alley is an actual alley, located between Santee Street and Maple Avenue, from Olympic Boulevard to 12th Street. Monday - Sunday, from 10:00 a.m.
Tom's Farms in Corona is a fun place to visit. On the weekends they have a craft fair and music. Lots of shops and 3 restaurants to eat in. Pond and much more. All season's fun. 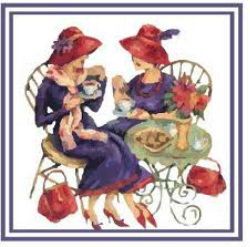 Shops, tours, the greatest Apple Pie, hot apple cider, so much to do and see. Fun!! Hayrides.